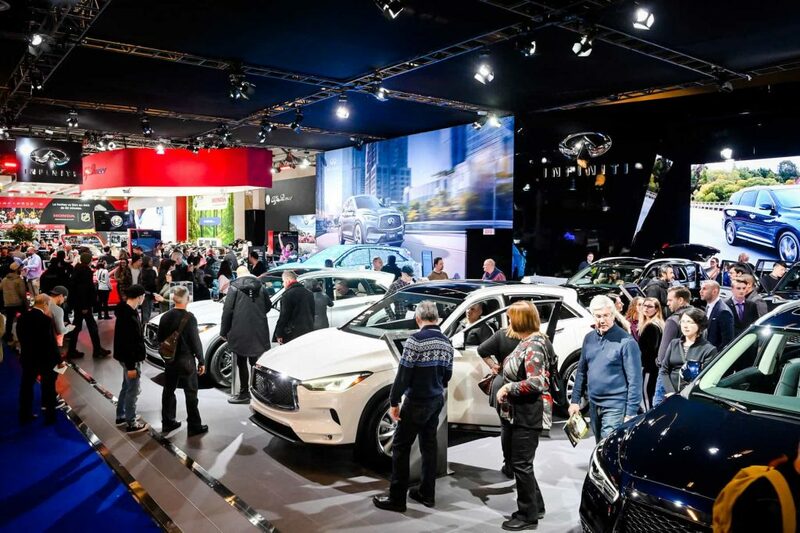 The 2019 Montreal Auto Show has given Canadian customers a fresh look at the new stock of cars coming to showrooms this year. 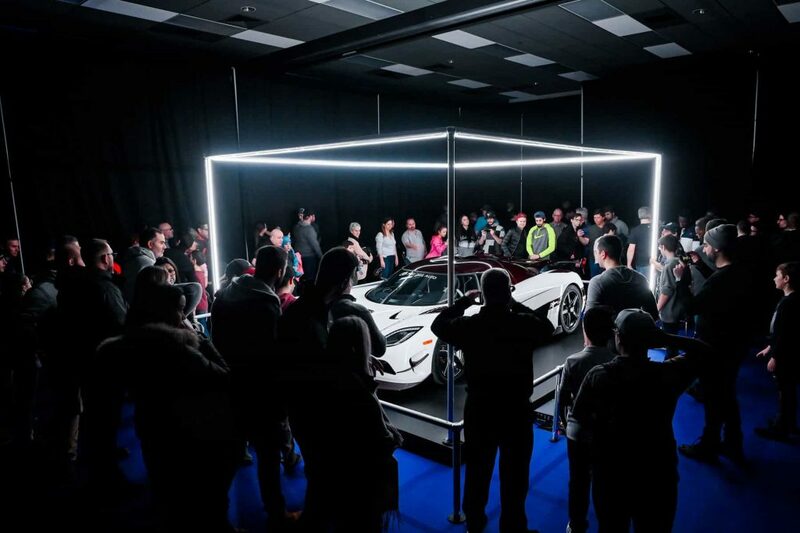 The 365,000 square feet of indoor space in Montreal’s Palais des congrès was packed January 18-27 with top automakers showing off their production-ready models and futuristic concept designs. Mitsubishi Motors exhibited the latest e-evolution concept, featuring a SUV-type body with a bold dashboard. From the stunning headlamps to its four bi-parting side doors, Mitsubishi showed its commitment to futuristic design and its electric technology momentum in the EV category. The detailed specifications or production dates are not available at this stage, but surely, we can expect some of the design elements to go in the upcoming 2020 models. Mitsubishi is also developing autonomous self-driving cars, but it will be years away from becoming a reality in North America. In the plug-in hybrid class, the 2019 Outlander comes with some cosmetic modifications in the front grill, headlamps and rear spoiler. The battery pack remains the same as that of 2018 and there are no big changes under the hood either. Whereas the 2019 European PHEV model has increased battery efficiency by 15% and power output by 10%. The European engine size has also changed from 2.0L to 2.4L with the more efficient “Atkinson Cycle” which runs an engine at a lower RPM, with an equal power output, resulting in lower-than-expected emissions and noise output. From a pricing and economy standpoint, the Outlander PHEV remains the most viable car for most EV buyers with a starting price tag of $44,817. This SUV is also eligible for provincial rebate from Quebec, Ontario and British Columbia, which can be deducted from the taxed final price. Mitsubishi has sold more than 5000 PHEV in the last 12 months making it the most popular plug-in hybrid vehicle in the country. Honda Clarity, the plug-in hybrid version, has a front-wheel drive system with a pure EV range of 77 kilometres. The hydrogen fuel cell version of this car is available only in other markets. Among Toyota’s electric line-up is the Prius Prime plug-in-hybrid which has an electric range of 40kms and the Prius C hybrid with a fuel rating of 5.1L per 100km. The high-end Toyota 4Runner has a 4.0L V6 engine and can produce 278 horsepower. Among the new entrants was the 2019 Chevrolet Blazer with a sportier and more refined look. The top variant comes with a 3.6L V6 engine and delivers 305 horsepower. Hyundai’s luxury sedan model Genesis G90 comes with a new front design and redesigned tail lamps and alloy wheels. The plush interior was classy but with only a few changes in this 2020 model. The car is equipped with a twin-turbo V6 or a V8 option with an all-wheel drive system as a standard feature. The Audi RS 5 Sportback fitted with a twin-turbo, 2.9L V6 has a larger cargo space and produces 444 horsepower with Quattro all-wheel drive system. In the BMW X5, the xDrive40i and xDrive50i variants came with V6 and V8 engines. The 2019 models have new BMW infotainment system, laser headlamps and 22-inch wheels. The Audi Q8 SUV looked bold and sporty with its new front grill and lower roof. Under the hood is a V6 turbo-charged engine, which produces 335 horsepower. The cockpit boasts an almost all-electronic dash with a nice wood trim. The Porsche Cayenne E-Hybrid had a distinct styling and a power output of 455HP. It can drive 35 kilometres in pure EV mode. Overall, the regular Cayenne and Macan designs did not change much since last year except for some cosmetic mods in the front grill and LED lamps. The high-end Jeep Cherokee performance category Trackhawk is built with a V8, 6.2L engine. It is also equipped with a Quadra-Lift air suspension for serious off-roaders. The interior is clean and luxurious. Above all, it can produce 707HP with ease. In the Luxury section, the Mercedes-AMG GT 4-Door Coupe was built on reinforced structure for superior performance, but designed more like a family supercar. Under the hood is a twin-turbocharged V6 or V8 engine with 429 to 630 horsepower. This surely stood out for its design, technology and character. The G 63 AMG came with the iconic wagon-box-style body and crocodile-eye flashers on the hood. This all-terrain beast is mated with a V8 engine and has 577HP. In the pick-up trucks, the Ford F-150 remained the bestselling truck in Canada. The base model comes with a 3.3L V6 engine and the high-end model has a 5.0L V8 engine and 395HP. In the SUV category, the mammoth eight-seat Ford Expedition has a towing capacity of 9200 pounds and come with a 3.5L V6 engine. Chevrolet Silverado 2500HD was also neatly styled in different trims. Among the V6 gas and diesel variants, the diesel variant delivers 910 lb-ft torque with a towing capacity of 18000 pounds and more. In the supercar exhibits, the Swedish Koenigsegg Agera RS with an estimated price of $2 million was a stunning machine. This 5.0L V8 engine generates an output of 1500HP and can reach 400 kph in 20 seconds. If you’re all about speed, this is the one! Overall, I expected to see a balance in the gas and electric models from all the manufacturers. The electric models displayed were from the previous year without many upgrades or new models. Neither did I hear much about the EV momentum or next-design-direction talk from the representatives this year. I am hoping that automakers will make a quantum leap in battery technology and compelling design changes in their 2020 models.